It started like not so much of a much, but blossomed into a half-foot of the white stuff. Not bad for the Duke City. I’ll tell you what a fella with a bad back wants after spending a week clearing and cleaning his ex-house: six and a half inches of heavy, wet snow to shovel. I won’t tell you what I used for a measuring stick. But that snow cold. Yeah, and it deep, too. This entry was posted on December 13, 2015 at 2:03 pm and is filed under Albuquerque, Snow. You can follow any responses to this entry through the RSS 2.0 feed. You can leave a response, or trackback from your own site. Wow. You got more than we did. It was something, K. Most snow we’ve seen since we moved here. It’s going away pretty quickly, but our driveway is a steep beast and I didn’t want to have to use a come-along to winch Herself’s 2WD CR-V in and out of the garage. Hence the shovel work. I put the Dunlop Wintersports on the Subaru this morning and the Vittoria Randonneur Cross hoops on the commuter bike. I wanted winter tires on the car since the Tacoma is in drydock until someone figures out what is wrong with it. Automobiles. Gah. They give me a pain. I’ve been thinking it might be time to trade in the ’05 Forester for something with fewer dents, dings, rips and miles, but I can’t get excited about it. 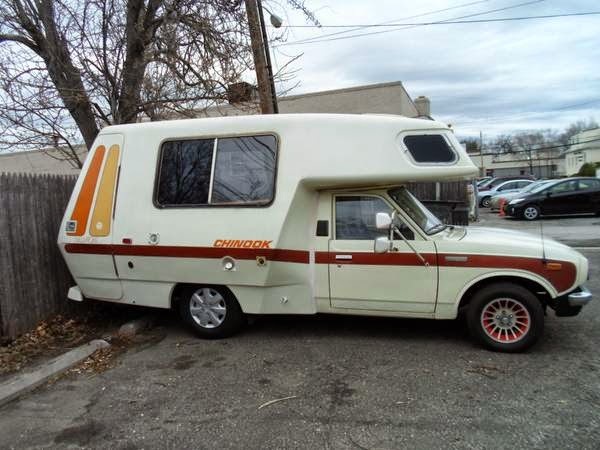 I can’t understand why Toyota didn’t build a VW type camper. The Sienna would make a good base for one. We had a 1993 VW Eurovan Westfalia camper. I wish I still had it. Five cycling Audi engine with 5 speed manual transmission. Most comfortable front seat I have ever experience in a vehicle. Cylinder not cycling. Freudian slip or auto spell correction? I got seriously interested in the Eurovan some years back. There was a guy in Commerce City refurbishing them for top dollar, and he had quite a stable. Looks like he’s still around. Toyota did partner with a couple of outfits to do campers back in the day, and you can still see a few of them around and about. There were the two iterations of the Chinook (version one and version two), the Dolphin, and the Sunrader, but I don’t recall them doing much past the Eighties. As regards the Sienna as a good starting point, a quick consultation with Mister Google finds this place doing camper conversions. Pretty cool. Or how about this do-it-yourself option? Top dollar is right! We camped in that Eurovan many times and used it as a daily driver too. Not sure we would camp as much these days. Archery was our big distraction back then, and many of those camping trips were to 3D archery shoots. Now camping trips are for having some spectacular places as our backyard for a day or two. Complaining about our little flurries yesterday with no accumulation seems petty now. Come South young man if you have last minute bike testing to do. Much more to come over the next 4-5 months if the Super El Nino lives up to advance (and so far current) billing! Oh, indeed, JD. Tonight’s forecast calls for a skosh more. I may need to have a chairlift installed on the driveway. Condolences to you. We’re having a run of near- or record highs in central Va. 72˚ currently. 8) Y’all can keep that other stuff. The climate’s truly f__ked up, but at least 180-something countries ALL agreed on that fact recently. Whether it’s too-little-too-late remains to be seen of course, but at least they all (with the exception of the Whig Party in control of the US House of Representatives) agree that something needs to be done. In the short term I want the rains to hold off in SoCal until we’re outta there soon after the new year. six and a half inch, sure, you bet, prove it.